The launch includes an orbiter built to study the Martian atmosphere and search for trace gases such as methane, which could be a signature for ongoing biological or geological activity on Mars. A 600-kilogram (1,322-pound) stationary lander will accompany the Trace Gas Orbiter to Mars, aiming to complete Europe’s first successful touchdown on the red planet. Engineers discovered a problem with two pressure transducers in the Schiaparelli lander’s propulsion system, a flaw that could have threatened the mission, which is primarily aimed at demonstrating technologies for entry, descent and landing on Mars. “A failure in the production process of the pressure transducers has been identified and this leads to concerns about leakage, which represents a major risk to a successful landing on Mars,” said Don McCoy, ESA ExoMars project manager, in a press release. 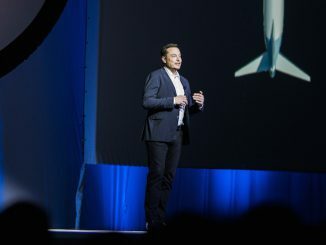 Given the short time before next year’s Mars launch window, engineers decided to remove the sensors rather than replace them, according to ESA. The mission now has from March 14 through March 25 to blast off. Mars launch opportunities come approximately every 26 months, when the planets are properly aligned to make the journey possible. “ESA has decided not to accept this risk and to remove both units from the landing module, the knock-on effect being that we can no longer maintain the January 2016 launch window and will instead move to the back-up launch window in March,” McCoy said in a statement. Named for Giovanni Schiaparelli, the Italian astronomer who mapped Martian surface features in the 19th century, the lander will touch down on Meridiani Planum, not far from the flat plains being explored by NASA’s Opportunity rover. 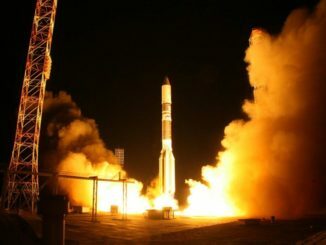 The ExoMars 2016 mission, the first segment of a two-launch European Mars program, is set to lift off from Kazakhstan aboard a Russian Proton rocket. The second launch of the ExoMars program will deliver a European-built mobile rover to the Martian surface after a launch in 2018. 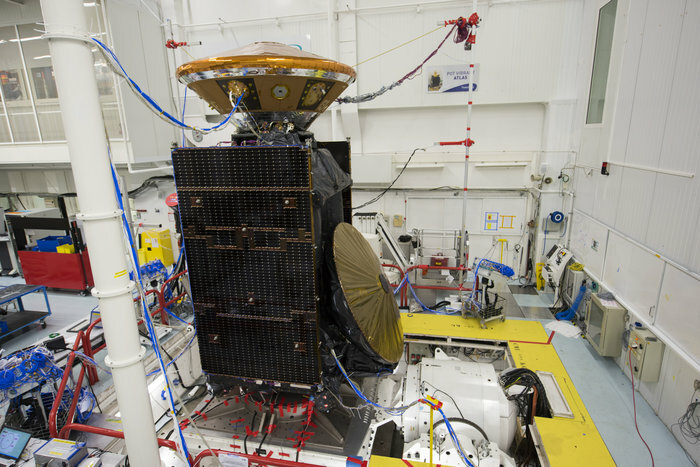 The ExoMars 2016 launch window previously opened Jan. 7. The spacecraft will still reach Mars in October as previously planned, and the Schiaparelli lander will ride piggyback on the Trace Gas Orbiter for the seven-month trip. 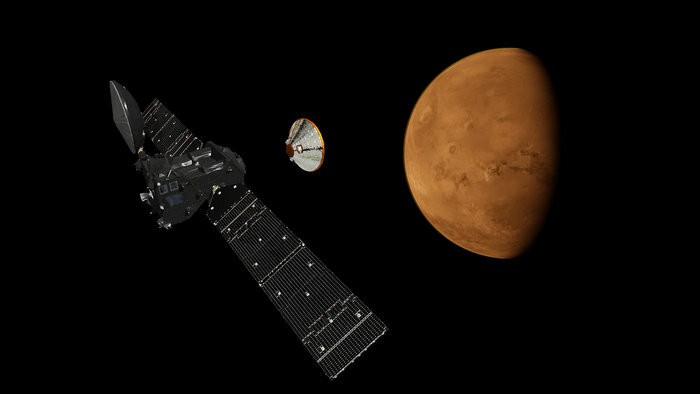 The descent probe will separate from the orbiter three days before arrival at Mars, then dive into the Martian atmosphere at 21,000 kilometers per hour, or about 13,000 mph. A 2.4-meter (7.9-foot) diameter ablative heat shield made of cork powder and phenolic resin will protect the lander against the heat of atmospheric entry, then Schiaparelli will deploy a supersonic parachute and fire liquid-fueled thrusters to slow down to walking speed just above the surface. The thrusters will then switch off and the lander will drop to the surface, cushioned by the landing module’s crushable outer structure. 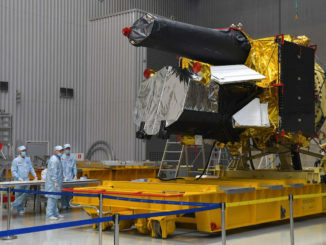 The battery-powered lander will collect atmospheric data during its descent, and a downward-facing camera will record imagery during the final touchdown sequence. Officials expect the lander to survive up to eight days on the surface. On-board sensors will monitor the Martian weather and broadcast data back to Earth through the Trace Gas Orbiter, which will maneuver into orbit around Mars to begin a five-year science and data relay mission.